A real holiday destination that boxes above its weight, Burnham Market, nicknamed Chelsea on the Sea because of its top end feel, is one of Norfolk’s loveliest villages. Its Georgian buildings surround a huge green with mature trees, and in some years, a stream called the Goose Beck flowing through the middle. No.Twenty9 Bar & Restaurant is located in the heart of Burnham Market, in a Georgian Grade II listed property dating back to the 18th century. Original architectural details combined with a contemporary sympathetic renovation means that Burnham’s newest addition to the village’s culinary landscape offers both comfort and hospitality in equal measures in a casual but elegant setting. Gurneys is a rare breed indeed, the type of top quality fishmonger that is now scarcely seen on our High Streets. They sell the best in locally produced smoked fish, shellfish and wet fish mainly landed locally - the oysters and mussels are particularly good. They also have a kitchen where they make up a selection of fish products including fish soup, fishcakes, kiln roast salmon and dill pate. 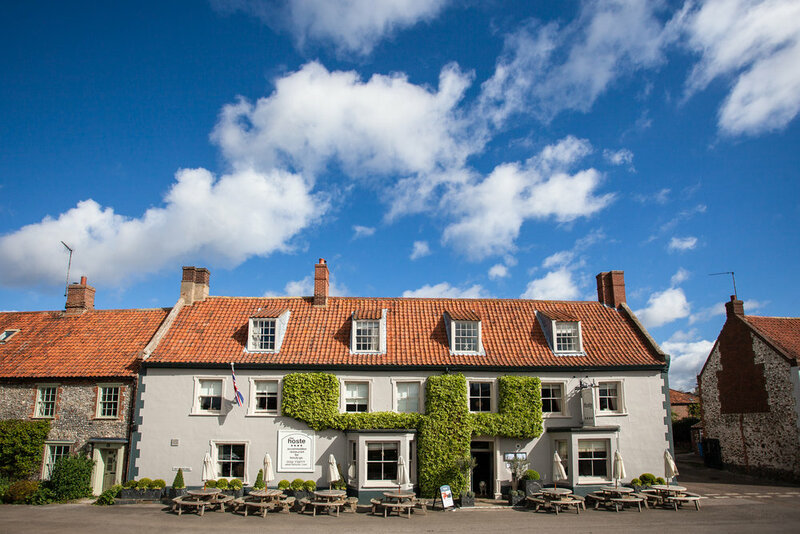 The Hoste is the place to indulge yourself whether in the historic restaurant overlooking the green or settled by the roaring log fire in the traditional bar. Don't miss the beauty spa situated adjacent to the main hotel. Regarded as one of Norfolk’s principal galleries, the Grapevine Gallery is about to enter its tenth year in Burnham Market in North Norfolk. Founded some fifteen years ago, and owned and directed by Alison and Peter Low – both architects by background - Grapevine’s reputation has been built on the quality of the work shown and its distinctive character. Showing an eclectic mix of contemporary paintings, prints, ceramics and sculpture, the gallery has always aimed to be both welcoming and interesting. The heart of gallery is a personal selection of the best of the region’s art, including artists such as Gerard Stamp, Michael Chapman and Neal French - a significant part of the portfolio is work from artists and potters across the country. Open throughout the year, featured exhibitions are held at intervals; at other times you may expect to see a changing selection of work from our artists with further pieces available to view on request. 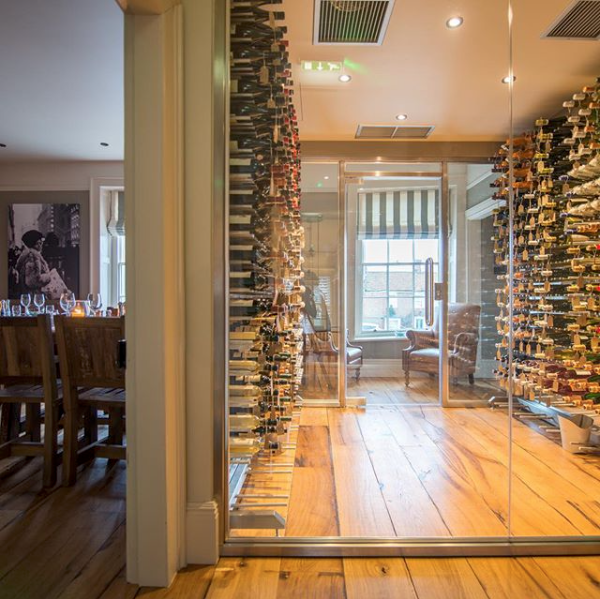 Located just off the beautiful Norfolk coast line in one of the new Foundry Place properties, independently owned ‘Socius’ creates a memorable food and drink experience in a completely relaxed environment. Offering locally sourced produce in dishes which change to reflect the seasons, Socius serves small plates – as a modern British take on tapas. Guests are able see the chefs at work and watch the genius of their food preparation and plating as the kitchen is entirely open. For those warmer days, an al fresco south-facing terrace offers summer dining with cocktails and drinking snacks. Dogs are welcome during the daytime, as are guests just wanting a coffee and a light bite (even those with muddy paws and sandy wellies!) An exciting children’s menu is also available for little ones. Set among the ruins of an Augustinian abbey founded in 1206, Creake Abbey is now home to a café and food hall, shops, studios and an award winning farmers’ market. The Farmers Market is the 1st Saturday of each month (excluding January) and boasts more than 50 stalls of local produce held in two old Norfolk barns. Outside by the picturesque pond you can expect music and cookery theatre demonstrations at varying times throughout the year.